Echo Park — Vijay Gupta has wasted no time. 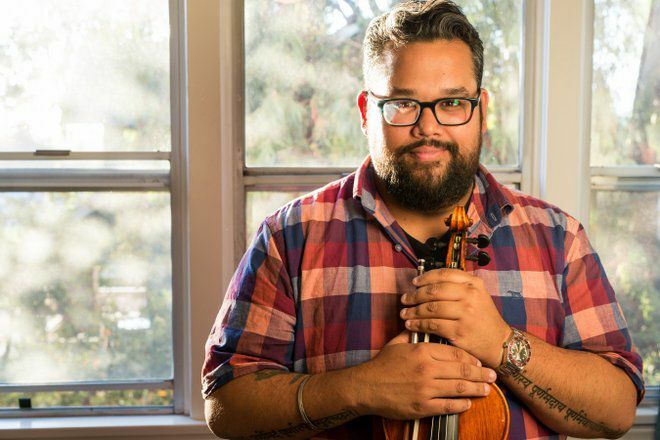 By the time he was 20 he had graduated from college with a degree in biology, earned a masters degree in music and began playing violin for the Los Angeles Philharmonic. Today, Gupta, who is 31, was awarded a $625,000 grant in recognition of his work with the “Street Symphony” that has performed for the homeless on Skid Row as well as for inmates in jails. The Echo Park resident was one of 25 fellows who received the no-strings attached award — dubbed “genius grants — from the MacArthur Foundation. The grants honor individuals for their innovation, creativity and contributions to society while encouraging them to continue their efforts. Gupta co-founded the nonprofit Street Symphony, which holds monthly performances and offers musical education through workshops. The symphony works with residents to create or perform their own pieces that are showcased during an annual performance of Handel’s Messiah on Skid Row.